Most first-generation wealthy entrepreneurs remember the difficulties they once faced and now want life to be easier for their children. Perhaps their grandfather walked five miles barefoot to school each day and the next generation wants their own children to take the bus. The generation that follows wants their children to be in a carpool or driven directly. We always seek to make things better for those we love. Unfortunately, giving kids every opportunity and privilege without questioning puts children at risk as they grow. Kids who never make an effort because everything is just given to them don’t grow up feeling good about themselves. They don’t feel confident in their skills because they never had a chance to practice them. But kids who struggle to accomplish goals and learn financial literacy—in a measured, age-appropriate manner—grow up with a greater feeling of control. They are inherently happier. They won’t ever worry that their habits will bankrupt them or that they don’t know how to manage the wealth they inherit. She came up with the concept of having a summer camp for the neighborhood kids, focusing on those in her younger brother’s class. She and her sister contacted local parents about Camp Boomerang, “the camp that makes you want to come back.” For two weeks, moms dropped kids off at our house with a sack lunch, and the campers got to swim, jump on the trampoline, and do arts and crafts. Lo and behold, my daughter earned more than she needed for the trip. Years later, I still have a Camp Boomerang T-shirt folded in the bottom of a closet drawer, and have fun showing it to her child, my grandson. He is now the same age as her campers were then. When that same daughter wanted a car at age 16, we offered her the same deal. We matched every dollar she earned through babysitting and other chores, and that enabled her to purchase a used vehicle she could afford. I guarantee she paid a lot more attention to caring for that car than if her mom and dad had bought her a brand-new BMW. Family vacations even became a learning experience that reinforced the meaningfulness of money. When our children were studying Latin, for example, we traveled to Rome so a dead language could come alive for them. Before we left, I had each child write an age-appropriate report on the destination and present it to the family at the dinner table. Developing a clear identity is vital to personal well-being and professional success, according to Stedman Graham, best-selling author whose new book, Identity Leadership: To Lead Others You Must First Lead Yourself, is due out this spring. Stedman asserts we should each define ourselves rather than having others do it. More often, he says, we take on the persona of how the world identifies us, whether that’s based on our race, our ethnicity, or our socioeconomic background. Children of wealth face this same key challenge. They struggle to develop their own identity, distinct from what is assumed by society and what other people think of them as opposed to what they think of themselves. Too often, children born into moneyed families don’t have an opportunity to create their own identity by building something or creating something meaningful. Working for achievements is a privilege and provides unparalleled joy and satisfaction; it allows us to value what we’ve accomplished and feel good about ourselves while we build identity. For example, when my daughter applied for college and jobs, she was proud to share the story of how she paid for that Australia trip. Over the years of working with wealthy families I’ve discovered that what’s most important is not the amount of money you have, it’s about laying the groundwork for well-adjusted affluence. Educating children that money doesn’t grow on trees is a lifelong process. They need to understand money is not something mom and dad just give you. It’s something you have to earn, and when you earn it, you value it more. 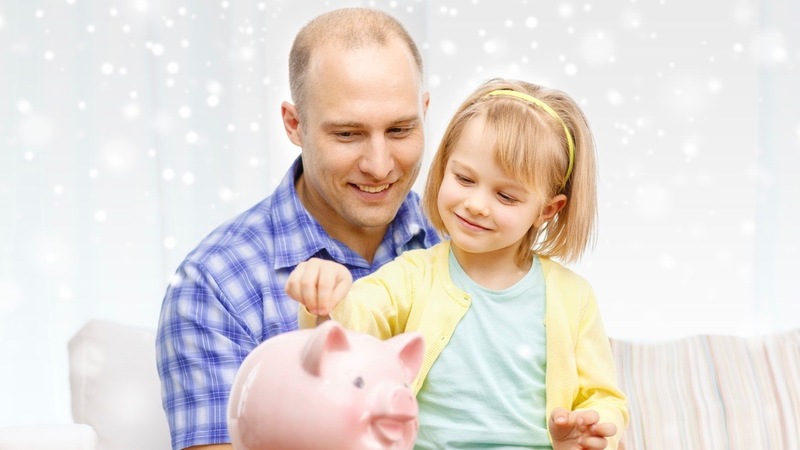 How do you know if you’re on the right track teaching your own children about the value of money? Consider this yardstick: You want to give your children enough that they can do anything, but not so much that they can do nothing.